Greek Week [Amorgos] | how 'bout some cake? Our third port was Amorgos. 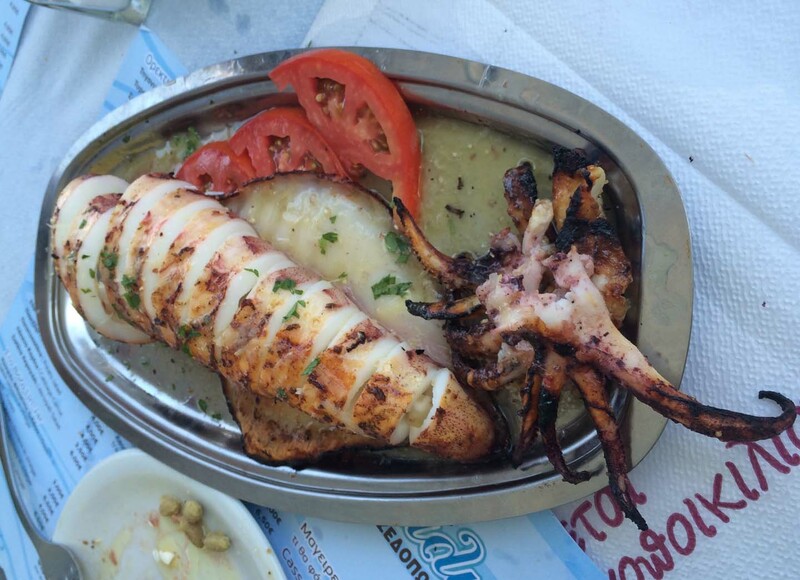 The moment we stepped off the boat, we were welcomed into a local seafood restaurant. 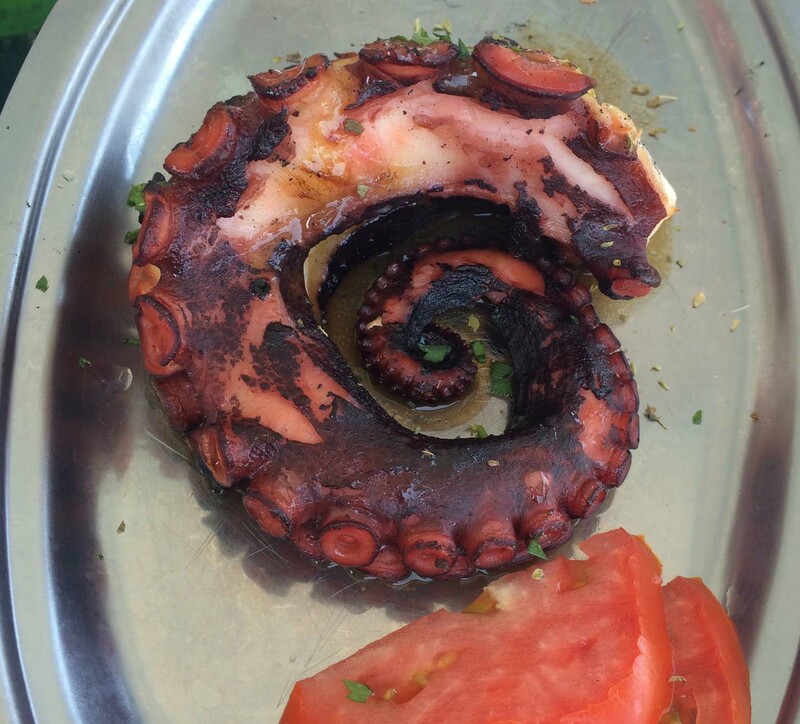 The table was set and within minutes it was piled high with plates of octopus, calamari, hand other Grecian dishes. 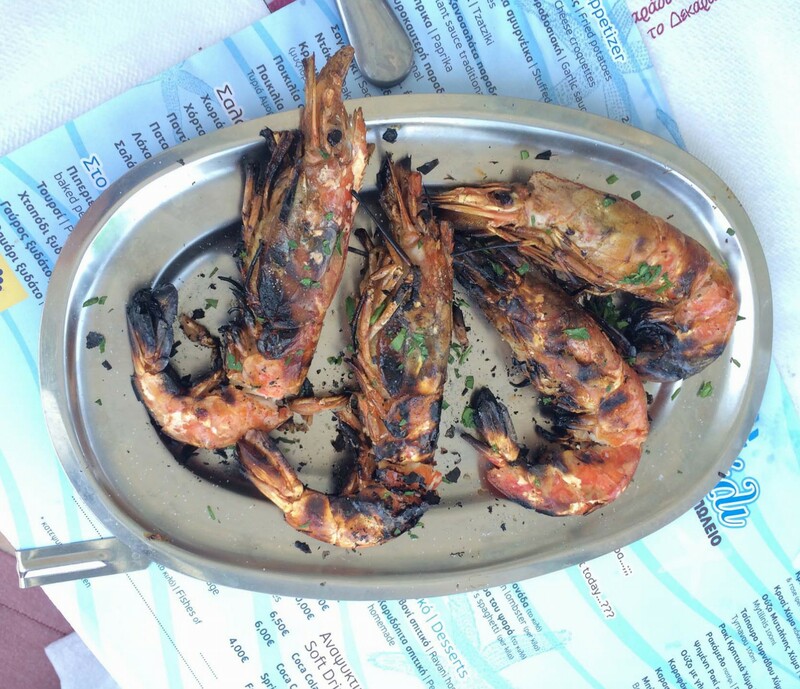 These massive prawns were delicious and right up my alley, but some of the other dishes… not so much. I was especially proud of myself when I took a deep breath and popped one of these babies into my mouth whole. I did not like it. I did not like it at all. Some adventures are not worth taking. 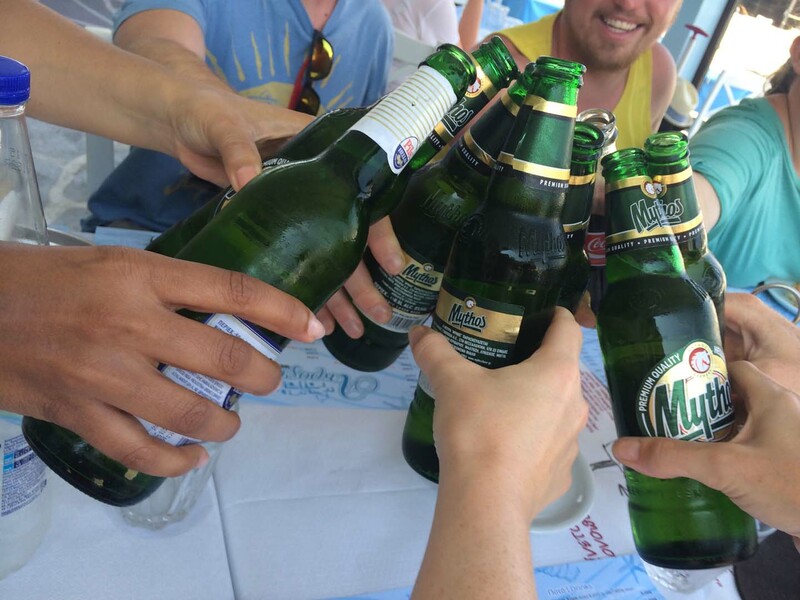 One thing you can always count on being delicious – beer. After that less-than-filling lunch, Dawn and I wandered around town snapping photos until it was time to fill our tummies with supper. The sun set, and we all reunited for drinks (and some WiFi). Although it was our mellowest port visit, it was also one of my favorites. 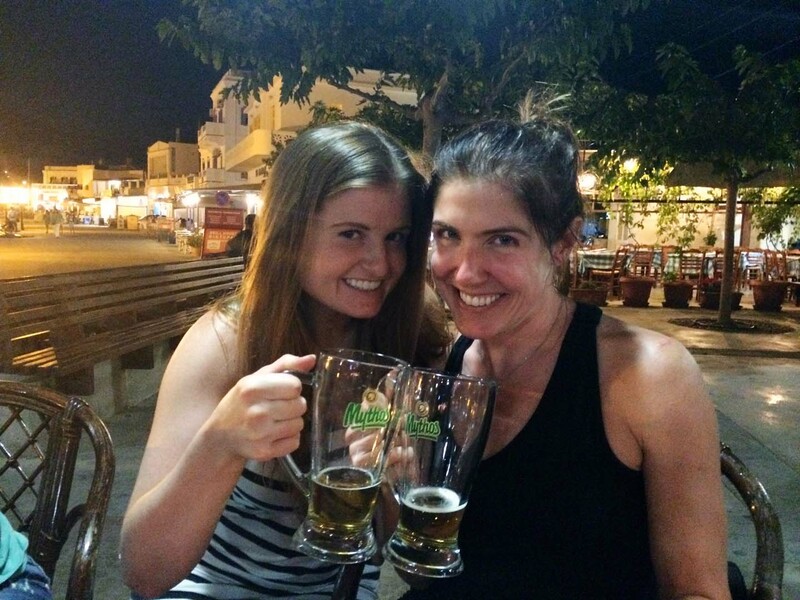 It felt like a quaint Grecian village as opposed to a hopping party destination. I reveled in the quiet and was sad to sail away the next morning. Oh Amorgos, I really hated leaving but I loved to watch you go…. 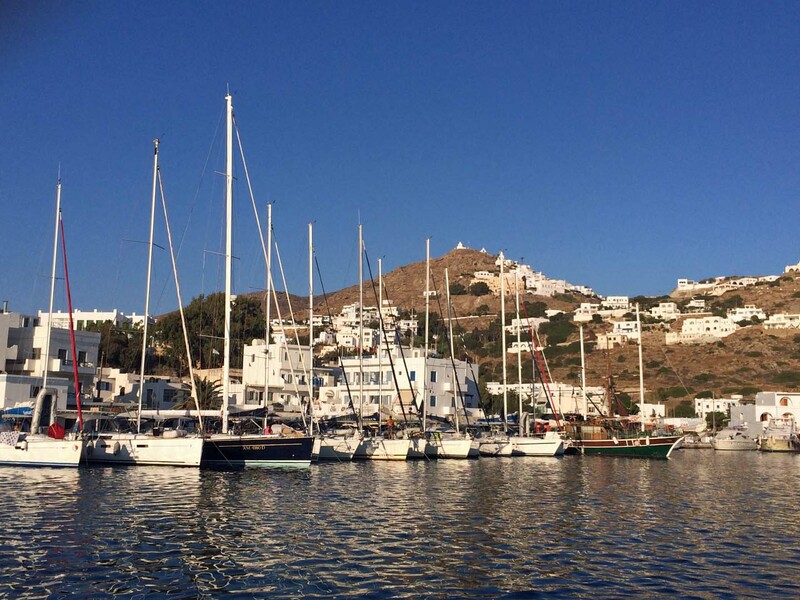 This entry was posted in Travel and tagged Amorgos, Amorgos island, Dream vacation, Greece, greece sailing trip, greek islands, holida, Travel, vacation. Bookmark the permalink. 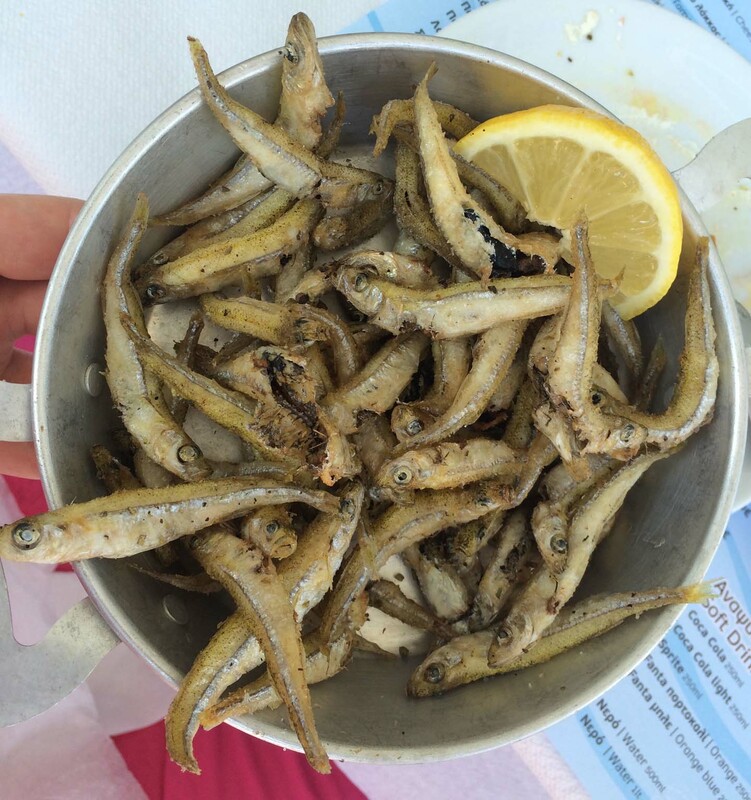 Ah these pictures have me longing to go back to Greece, although not for some of that seafood….I definitely wouldn’t have been brave enough to try one of those little fish…eek!